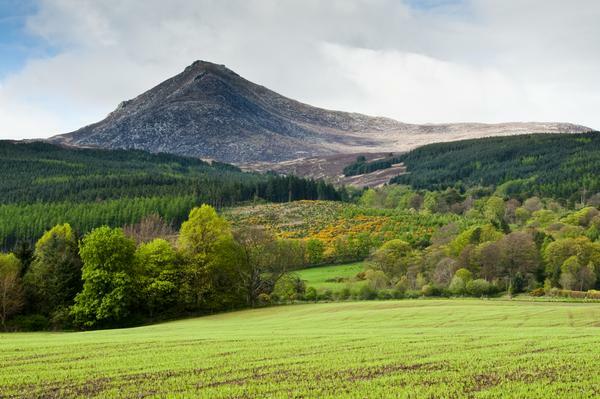 Goatfell is 2,867 feet (874 metres) high and is one of the four Corbetts on Arran. 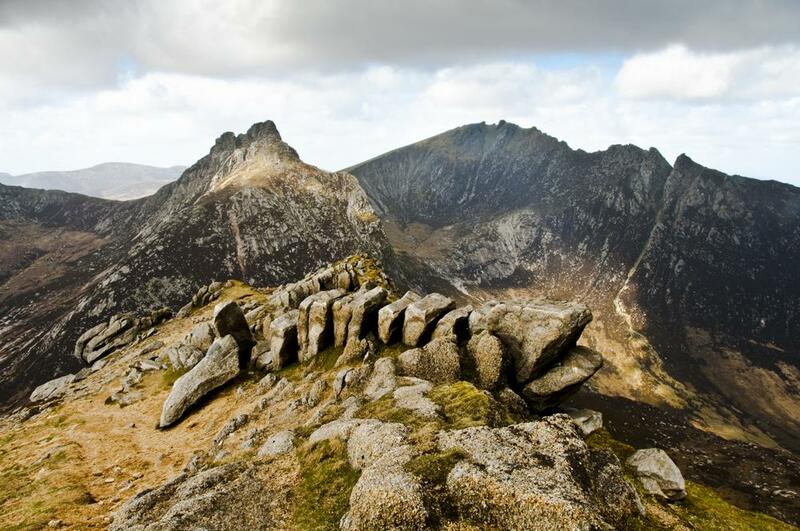 Corbetts, named after the list compiler John Rooke Corbett, are Scottish peaks that are between 2,550 and 3,000 feet high and have a relative height to the surrounding peaks of more than 500 feet. This popular peak has many routes to ascend it with varying degrees of difficulty. 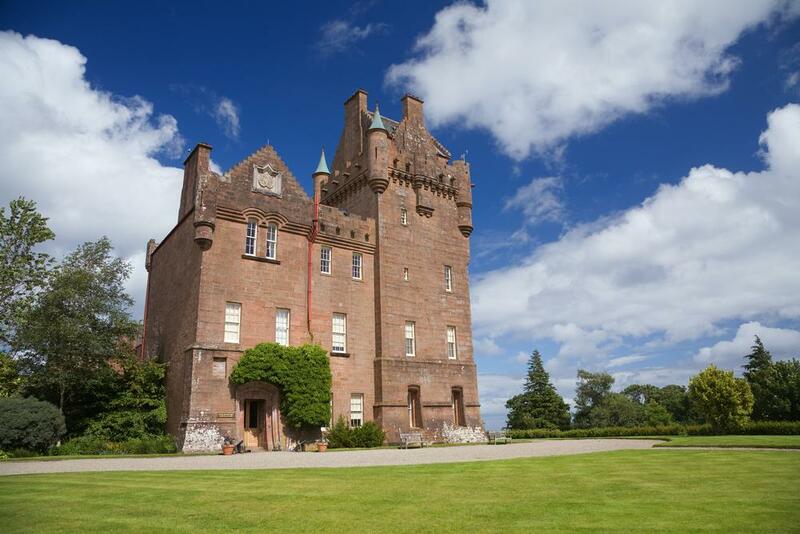 The popular path starts near Brodick Castle and Country Park in Cladach and is 3 miles each way. The path starts in the castle grounds and runs through established forests with many rhodendron bushes which provide bright colour in early summer. Once you have climbed about 1000 feet above sea level, the path reaches open moorland terrain which continues upwards to the summit. The path approaches the top from the east ridge. 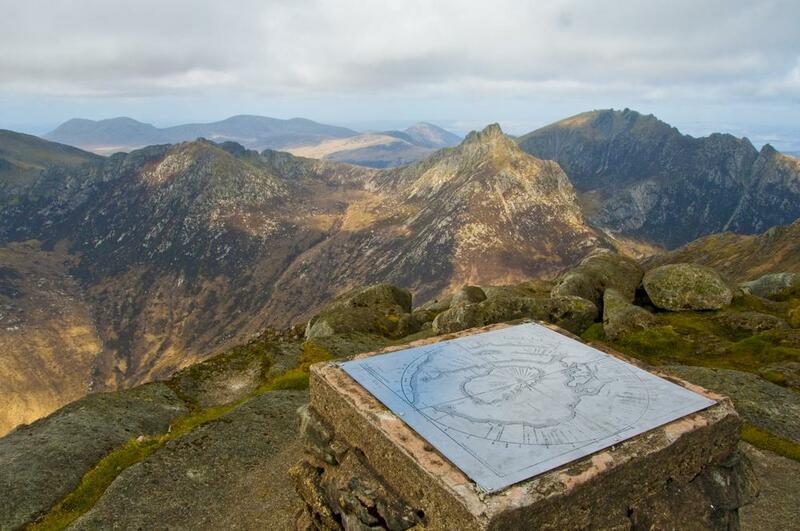 At the peak there is a view point table showing the surrounding landmarks such as Ben Lomond to the north and the distant peaks of Ireland to the south west on a clear day. 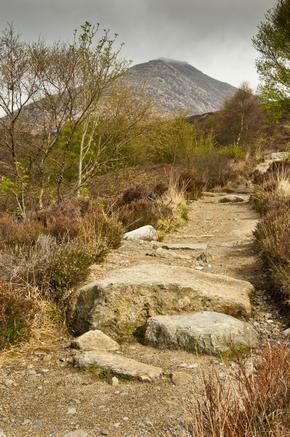 For a shorter but steeper path, start the walk from the village of Corrie. After a steady climb it merges with the main path on the eastern ridge. One final option is the route from the north, which first ascends the peak of North Goatfell. From there the ridge leads south to the main summit with an alternative hike along the ridge to the north east over Cioch na h'Oighe which translates as "Young Maiden's Breast". Like many Scottish peaks the weather on Goatfell can change suddenly and dramatically even in the summer. The summit can be cold, wet and windy with visibility of just a few feet. 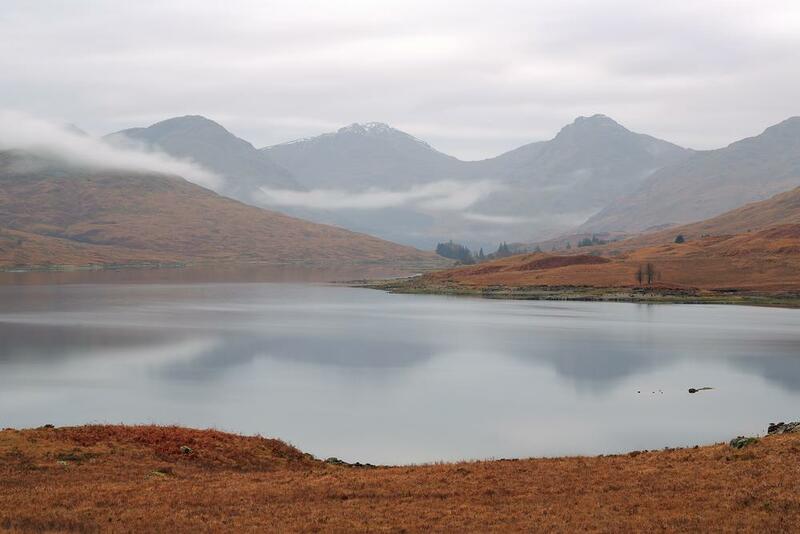 Walkers should always be prepared with waterproof clothing, a map, compass, food and drink. The mountain was formed an estimated 60 million years ago by volcanic activity. The granite dome was covered by older rocks which gradually eroded. During the last ice age, glaciers created the craggy ridges and sweeping glens that are the island's characteristic landscape today. Goatfell was donated to the nation in 1958 by Lady Jean Fforde, the daughter of the Duchess of Montrose. Goatfell was the scene of a murder in 1889 when John Laurie was found guilty of killing Edwin Rose. The controversy of whether Rose slipped or was pushed still continues. Red deer are a common sight on the mountain. Dwarf juniper is a native plant of Scotland and grows beside the main path up Goatfell. On the higher parts of the mountain look for dwarf willow, the smallest species, which grows just two inches tall. Goatfell is the most southerly home for the ptarmigan, a type of grouse with a camouflaged plumage which changes from mottled brown in summer to white in winter. The other bird of special interest to twitchers is the hen harrier which has a slate grey body with black wing tips and an owl-like face. 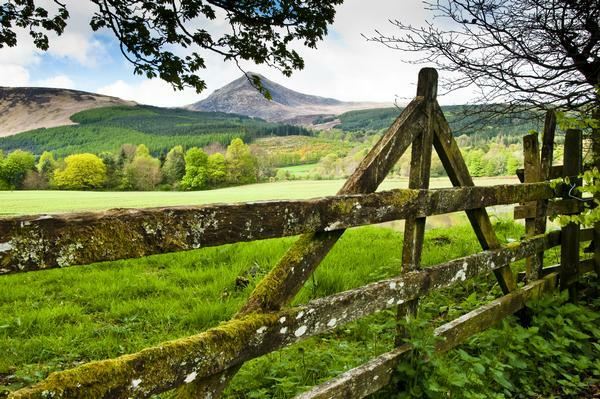 It can often be seen flying low across the moors on the flanks of Goatfell.